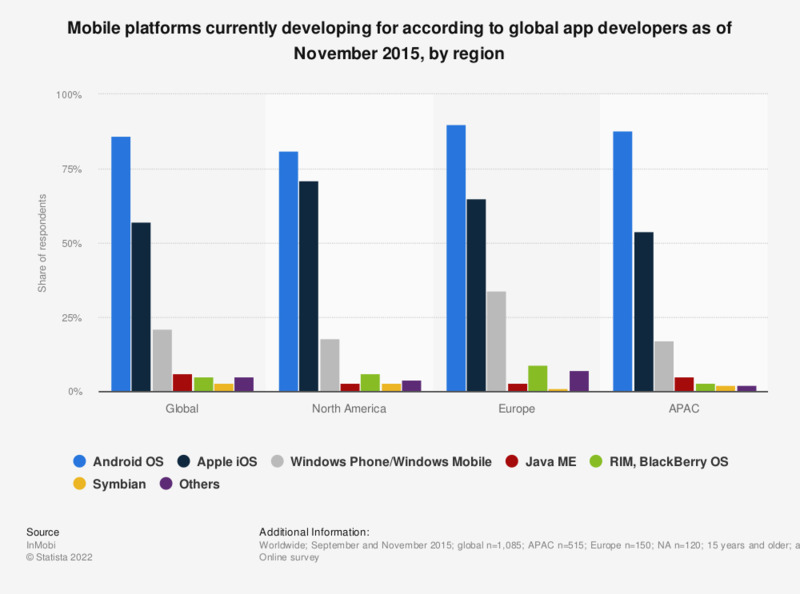 This statistic presents the mobile platforms that mobile app developers are currently developing for as of November 2015, sorted by region. According to the industry survey, 81 percent of responding app developers from North America were developing apps for the Android OS. Original question: Which mobile platforms di you develop apps for today? Please select all that apply.